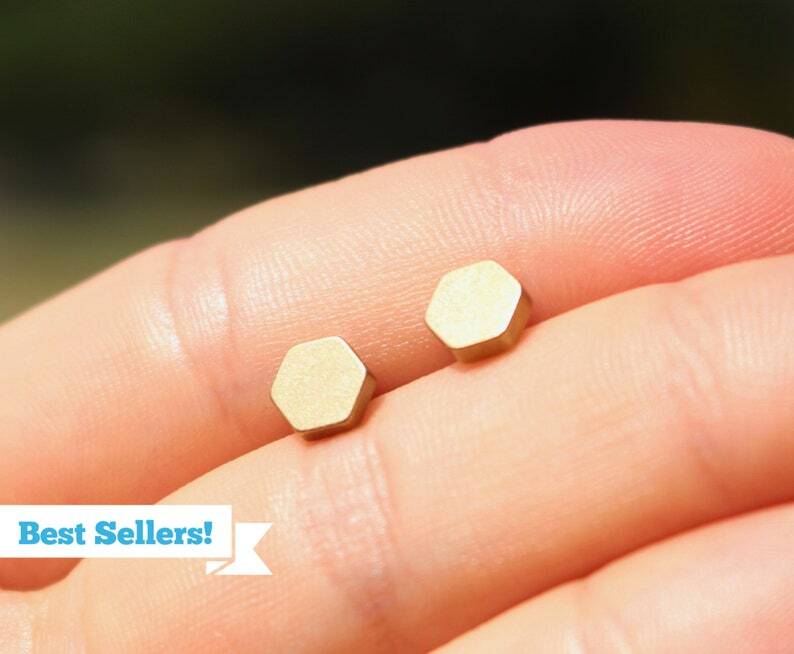 5 mm in diameter, these imperfect, grungy pieces are high quality, heavy metal. They are mounted on pure titanium posts, the pad is surgical stainless steel and the ear nut is plastic, so everything is hypo allergenic! We are passionate about hypo allergenic because our owner has ears just as sensitive as you! There is nothing worse than to find a CUTE pair of earrings that make your ears itch and burn! We hope these give you NO issues! These are a lovely little pair of earrings. I haven’t really taken them off since they arrived! I usually wear big earrings but I work with kids and needed something small. These are beautifully made and exactly what I was hoping for. Thank you SkyHi, for these and the sweet green studs!